The Ohio State University Fisher College of Business, B.S. 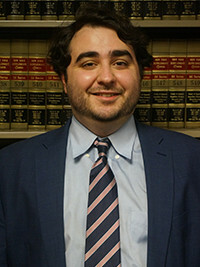 SAMI ALSADO joined MDAF as an associate in 2019. Prior to working at MDAF, Mr. Alsado worked at a civil litgation firm and premier baseball agency. Mr. Alsado has significant experience defending clients in a vast array of civil litigation matters, including Labor Law/Construction, general liability, and premises liability.